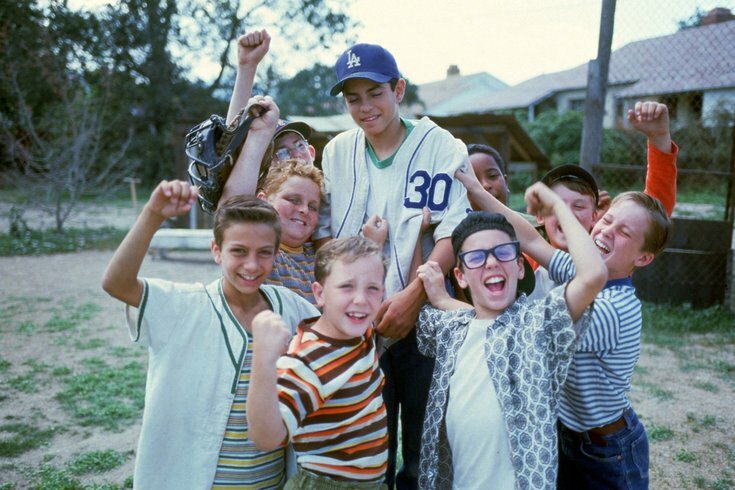 The cast of "The Sandlot." Disney announced the official date of its streaming platform's launch, Disney+, for November 12. From a series based on the 1993 movie, "The Sandlot," to a whole slew of new Marvel series, the latest entrant in the streaming platform wars is bringing an assortment of new titles. One of the biggest announcements was that a series based on the coming-of-age in the Sixties cult film, "The Sandlot," will be written and executive produced by the co-writer and director the original film, David Mickey Evans. The premise of the show shifts 22 years into the future to 1984 and shows Scotty Smalls and all of the original kids as parents. Thanks to Disney's $71 billion acquisition of 21st Century Fox, a slew of beloved Fox films and series will be making its way to the newest streaming service as well. Not only will it have classics "The Sound of Music" and "The Princess Bride," but it will also have all 30 seasons of "The Simpsons." Kevin Feige, president of Marvel Studios, announced the upcoming Marvel series coming to Disney+. Anthony Mackie and Sebastian Stan will reprise their roles for "The Falcon and the Winter Solder." "The Scarlett Witch" is getting her own series as well with star Elizabeth Olsen. It was reported on Wednesday that Jeremy Renner would star in an upcoming Hawkeye series, but Feige did not mention this in his announcements. He did, however, confirm Tom Hiddleston will star in an upcoming Loki series. Disney+ will now also be the home for new releases from all Disney films, including Walt Disney Studios, Pixar, Lucasfilm, and Marvel productions. This new service will be home to all of the "Star Wars" films - yes, all of them. Disney+ will be available for $6.99 a month or $69.99 annually. This is priced rather competitively considering Netflix's basic package starts at $8.99 and HBO Go is $14.99 a month. After this announcement, Disney shares jumped by 11 percent on Friday morning while Netflix shares dropped by 2 percent.